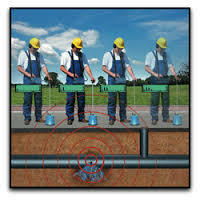 Leak Detection is one of the most valuable services that we can offer. Our residential leak detection services have been proven to save people tons of time, money, and resources. If there is a leak in your home and it goes undetected it can cause you to relocate, spend money on restoration, and need to cut out whole parts of your home until it is found, repaired, and replaced. 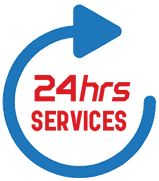 All Hours Emergency plumber stands beside our leak detection services as an absolute necessity for homes in Jacksonville. The relatively inexpensive leak detection is a much safer option than having to have most of your home uprooted due to water damage. If you have the following symptoms occurring in your home, it is a great time to call us up and ask for our leak detection services. Once the clients alert these professionals of the leak at their home or office, the team arrives at the earliest, fully equipped to detect the faulty lines, stop leaks and repair pipes. These works come with a reliable guarantee of one year. In sync with the requirements of the changing world, they have the most advanced infrared cameras that can detect the minutest of leaks. From individuals to small families, larger homes, offices, educational institutions and companies of all sorts, these experts can detect leaks and repair it leaving no space for complaints.